In a Medium article about purpose-driven brands we described what we called “Opportunist” brands, which jump on social issues in the most superficial way and try to take advantage of them. At best, these efforts are ignored, like wallpaper. At worst, they can backfire and make the brand seem exploitative. Many brands have struggled to connect with LGBTQ consumers, specifically. 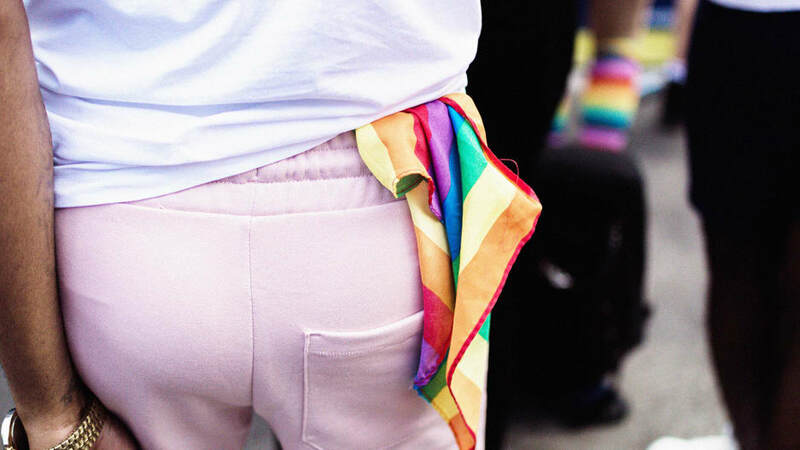 Every June during LGTB History Month in the US brands slap rainbow flags on everything, but this recent Fast Company article suggest those efforts, in and of themselves, generally don’t work. It can’t just be a once-a-year display. LGBTQ engagement should be an ongoing part of how your brand lives. For example, the article points to Suitsupply, which lost a ton of Instagram followers (presumably mostly straight ones, judging by the comments) after introducing a campaign clearly aimed at gay men. And there is Disney, which directed a social influencer campaign for A Wrinkle in Time at the LGBTQ community. The article quotes an expert who recommends ditching the hit-and-run Pride-month-only strategies and, if you are going to go after LGBTQ consumers, make them a part of your brand on an ongoing basis, not just once a year, and promote people from those communities into leadership roles in your organization. I generally prefer to steer clear of politics here, but this Fast Co Design article about the visual identity of the Alexandria Ocasio-Cortez campaign was too good to pass up. It’s a lesson about courageous branding that goes against the grain. Ocasio-Cortez, if you are unfamiliar, is a 28-year-old who last week defeated a longtime, well-bankrolled incumbent in the Democratic primary in her New York City congressional district. Given the partisan lean of the district, she is nearly guaranteed to win the general election in November and become the youngest woman ever elected to Congress. Of course, in politics great design isn’t everything. At least one other multicultural Democratic primary candidate in New York had some very compelling branding and a message similar to Ocasio-Cortez’s but he lost, in part, because he ran a bad campaign. Plus, Ocasio-Cortez’s message resonated with the very progressive mindset of Democratic voters in her culturally diverse urban district. The same approach may not have worked in Iowa or Missouri. She was the right candidate in the right place with the right message at the right time. It will be interesting to see if other candidates will copy her visual branding (undoubtedly they will) and how much success they will have (more of an open question). I could easily envision a populist Republican candidate in the Trump mold trying something similar. Two magazine covers this week use visual metaphor to drive home the emotional impact of separating immigrant children from their parents at the US border. The Time cover above has been “fact-checked” to reveal that the girl in question really wasn’t separated from her parents but, as this Mediapost article suggests, that doesn’t really negate the emotional power of the image. Throughout history we have seen metaphors transform the way people think about social issues. In the days before photography and film were widespread, these metaphors often came in the form of fictional stories like Uncle Tom’s Cabin which, though it perpetuated its own distasteful stereotypes, painted a poignant word picture about the horrors of slavery. And The Jungle, whose stomach-churning descriptions of the meatpacking industry changed the way the government regulated food production. In more recent times, the images of African Americans being hit with firehoses and attacked while sitting at lunch counters and the graphic images of the body of Emmett Till brought home the injustices of inequality in a way that words could not. Iconic images of a young girl screaming in pain after a napalm attack and Nguyen Ngoc Loan’s execution of a suspected Viet Cong officer transformed how many Americans felt about US involvement in Vietnam. These images were metaphors that symbolized a broader set of experiences and concerns. On the other hand, the few polls released late last week show no effect whatsoever on President Trump’s approval ratings. Perhaps all the outrage about his policy – and the power of these images – are much ado about nothing, in terms of public opinion. Or maybe it takes time for these metaphorical images to sink into our consciousness. An Ad Council campaign designed to persuade employers to hire young people who lack a higher education or traditional work experience has won the Grand Prix of the Effective Innovation category of the 2018 WARC Awards. The campaign is called “7-Second Resumes.” Created for an organization called Grads of Life, it is just as the label suggests – powerful seven-second videos in which a young person tells an employer why their skills and potential are worth considering, even though they might not stand out on a traditional hiring application. The hook is that the average hiring manager spends only seven seconds looking at a resume, and thus their implicit bias against candidates like this means a lot of good people never have a chance. These ran as donated media (PSAs) at first. From there the Ad Council partnered with LinkedIn to post the videos on these youths’ LinkedIn profiles, and then filmed hundreds of 7-second resumes at career fairs across the US. Both in terms of hard and soft metrics, the campaign exceeded expectations and outperformed the previous year’s campaign, which featured more traditional ads. Visits to the website jumped 68 percent and Grads of Life was contacted by an average of 45 businesses a month – up from an average of two. The campaign also garnered earned media in Fast Company and Forbes. What can an approach like this do to change minds in other ways? How could a short, emotionally gripping message change minds about racism? Sexism? Medical conditions? Physician-patient interactions? Perceptions of a brand? Thanks to OZ's Joe Plummer for sending this article from Gord Hotchkiss about the psychology of trolling. Why do people say horrible things online – things they likely would never say to someone in a more personal form of communication? When you shift from expressing an opinion to preaching morality. Research suggests that people are more likely to endorse violence when a moral issue is at stake. If you believe a lot of others share your views. This frees people to let loose with their darker, more destructive thoughts, which are often accompanied by violent language. The filter bubble that exists on social media makes it much easier to think that “everyone” shares your beliefs. Sadly, we’re all susceptible to this to one degree or another. If we’re in a bad mood or cognitively stressed, we’re more likely to troll. We’re more likely to troll at certain times of day (which reminds me a lot of the thesis of Daniel Pink’s latest book, When, which focuses on how time of day affects our emotions and behavior). 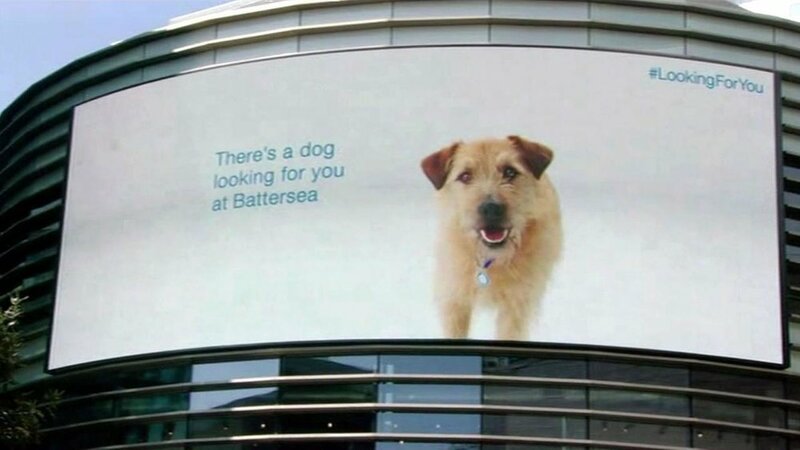 Battersea Dogs and Cats Home is an animal rescue in the UK. To attract the attention of people who might want to adopt a pet, they handed out leaflets with an RFID tag. Whenever you passed a one of several billboards within a certain area, a sensor picked up your presence and played an ad with a dog that appeared to be following you. (A different ad would play depending on which direction you were walking.) The #LookingForYou campaign generated a 33% jump in site visits and 10x more leads than the rescue had dogs. In another example, Mercedes-Benz was trying to build its safety credentials, so it created an outdoor hologram designed to raise awareness of the dangers of blind spots. You see the signage from the front, and then when you walk beside it, there is a hologram of a man on a bicycle, in your virtual blind spot. Thanks to Olson Zaltman's Tim Bradley for sharing an article from The Guardian in which the British charity Macmillan Cancer Support warns of the drawbacks of using battle metaphors to describe patients’ experiences with cancer. The group does acknowledge, however, that “fight metaphors” can help some people remain optimistic. This reminds me a bit of Susan Sontag’s classic work Illness as Metaphor, in which she argues that the metaphors we use for conditions like tuberculosis (in the 19th century) and cancer unconsciously blame the victim for their condition. She argued that we should not use metaphor at all when discussing illness and its treatment, and instead should stick with purely clinical descriptions of causes, symptoms, and treatments. Nice theory. In reality, not possible. But Sontag’s broader point is echoed in the “fight” metaphor for cancer. If you die of cancer, does that make you a loser? If you have a particularly fast-moving cancer and you succumb quickly, does that suggest you are weak? The question is then, how SHOULD we talk about cancer? We have studied breast cancer.“Journey” is a different metaphor that also describes people’s experience with that condition and presumably other forms of cancer. Should we shift our language in that direction? If so, what about the patients who actually find “battle” metaphors to be empowering? Six-second ads fascinate me – largely because of how good many of them are. It doesn’t seem like you should be able to tell much of a story in that length of time, but through the use of metaphor and symbolism and letting people’s minds co-create meaning, you can really drive home a message. In many ways, a :06 might be better than a :30 because there is no time for extraneous noise that clutters a lot of :30s. YouTube recently challenged a number of leading ad agencies to recreate classic fairy tales using the :06 format. The catch is they also had to use those :06 ads as part of a longer story, the idea being that :06s work best not as a substitute for longer ads but rather as a complement to them. Think with Google has more detail about the different agencies' approaches. This format does challenge those of us on the research side to find new ways of assessing these ads because :06s often do not exist as standalone entities. The death throes of an industry? The April 14-20 issue of The Economist has a feature article on the funeral industry. Funeral directors are freaking out because of the long-term trend toward cremation and non-traditional services. This means lost revenue unless the industry finds a way to adjust. We conducted ZMET research for the funeral industry several years ago. Our key finding was that many Baby Boomers see traditional funerals as overly focused on death. In Deep Metaphor terms these services are Containers where I feel physically and emotionally stifled. Conversely, the service these consumers want for themselves involves more freedom of expression. They want their own service to be a true celebration of the life they lived. One man described a service he attended at the home of his deceased friend. On a large table, the man’s family arranged a number of different objects that were of importance to this man’s life – his fly fishing reel, his tool box, a set of car keys, a jacket, etc – and everyone sat around the table telling stories about this man’s life, centered around these various objects. Our participant held that up as a kind of model ceremony. I spoke at a number of national and statewide funeral director conventions a few years ago, and I developed a great respect for the people in the industry. They are deeply compassionate and well-meaning and I enjoyed spending time with them. But too many of them are stuck in the past. The audience at my presentations always fell into three camps. It’s an industry that is deeply rooted in tradition. Many funeral homes are third or fourth generation family businesses. But this lack of flexibility is how companies and industries die – no pun intended. The voice of the consumer is loud and clear. Vaseline had a lot of nostalgia associated with it but it had grown largely irrelevant to the modern consumer. Everyone remembers their parents having an iconic Vaseline Jelly jar sitting on the bathroom shelf, but in a way the brand had become too familiar. Sales were slumping and consumers had begun to lose sight of the brand’s key functional benefit – healing skin. This was especially true for Millennial women, who have a vast array of skin care products to choose from. What the brand discovered is that Doctors Without Borders uses (literally) tons of Vaseline Jelly. In impoverished areas and where there are humanitarian crises, Vaseline Jelly is a simple, inexpensive tool for healing skin and preventing hard-to-treat infections. From that insight emerged The Vaseline Healing Project. A portion of every purchase of Vaseline lotion or jelly helps provide Vaseline Jelly and other dermatological care products and medical supplies to people affected by poverty or emergencies. To date, the brand has reached 2.5 million people in 61 countries. The initiative has been supported by a multiplatform marketing campaign, including a powerful ad featuring Viola Davis. 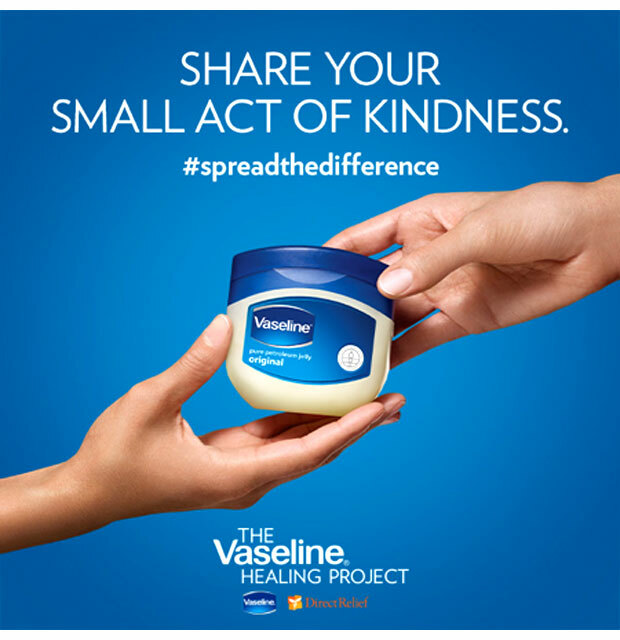 The brand saw a 70% increase in the number of people who said Vaseline “works better than other brands” and sales jumped after the launch of the campaign, following an extended period of steady decline. Corporate social responsibility is very hard to do well. So many brands are trying to “do good,” which is laudable, but (sad to say) it’s also important for a brand to get credit for these efforts and that can be challenging. Figuring out some big idea that your brand stands for – like “Healing” or Deutche Telekom’s “Sea Hero Quest,” which capitalizes on the importance of “Connection” – and extending that broad idea in a novel way is one path to success. We’re in the middle of a Necco Wafer boom. The company that makes them, the New England Confectionary Company, needs to find a buyer within a few weeks or it will go out of business, so lovers of the candy, first produced in 1847, are going to extreme lengths to secure a stash in case the company goes under. If you have ever had Necco Wafers you know they are, um, not for everyone. The experience of eating them has been compared to eating drywall or chalk. If market researchers were conducting a taste test, they almost certainly wouldn’t pass muster. But Necco’s success is rooted, in part, in the fact that it is a polarizing brand. An article in Harvard Business Review explains how alienating a large number of people can be a good marketing strategy because those who actually like you feel like part of a special tribe. So if you rate a brand on a scale of 1-10 and it scores something like a 5, that could mean the brand is boring– or it could mean the opposite, that people have deeply polarized opinions. Necco also capitalizes on the power of memories and symbolism. The brand reached its peak popularity after World War II. Not coincidentally, the US government distributed the wafers to GIs during World War II and those same people kept on buying them when they got home, even though they tasted like antacid tablets. The woman in the article above who wants to trade her car for a massive stock of the wafers says they bring back memories of playing in her grandmother’s home. Necco is a case where products attributes don’t matter much. Or, if anything, attributes that many perceive as highly negative have worked in a brand’s favor. A Bronx nursing home is employing “reminiscence therapy programs” to help residents who suffer from age-related memory loss. 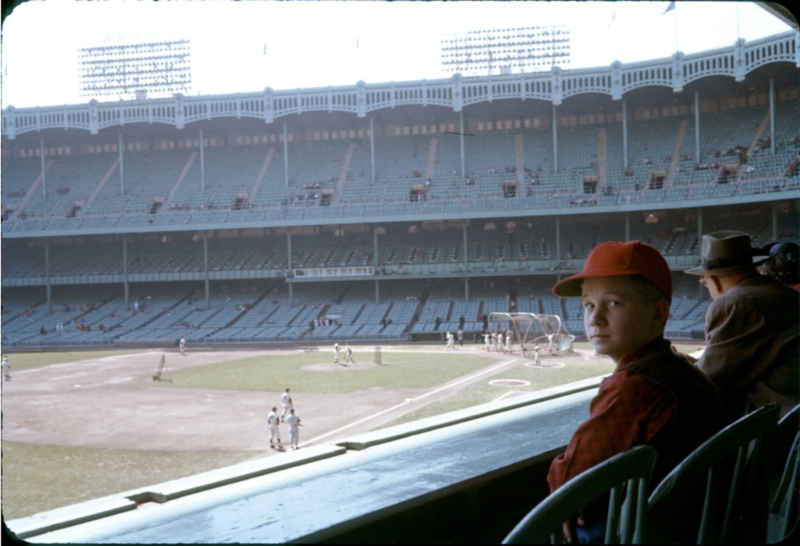 To coincide with the start of the baseball season, it is currently using six familiar scents from baseball stadiums – hot dogs, popcorn, beer, grass, cola, and the leather of a baseball mitt -- to evoke memories from these residents. This kind of sensory stimulation not only helps residents re-experience the joy they felt in the past, but also is believed to help with cognition and behavior. This has indirect relevance in market research. Sensory cues in packaging and product experience can have just as much relevance as functional outcomes, if not more. The taste of a new snack can be closely linked to what you were experiencing in life when you first experienced a similar taste. The smell of a hotel room or new car takes you back to a certain place and time. Package designs are not just functional -- they often remind you of things. And all of this can have a significant influence on purchase behavior. Afrofuturism has its roots in Egyptian mythology and mysticism. In a nation in which African Americans have been written out of the past (and in some cases the present) this genre asserts the power of black people to assert their intellectual control over an imagined future. We have seen Afrofuturist elements quite clearly in popular music. In the 1970s, George Clinton and Parliament Funkadelic incorporated “The Mothership,” a mythical space vehicle, into its performances. More recently, Afrofuturism has influenced the music and fashion of performers such as Wu-Tang Clan, Outkast, Erykah Badu, and Solange Knowles. The genre is represented in literature and art, as well. What, if anything, does this mean for marketers who want to build loyalty among African American consumers? Are any brands tapping into this larger cultural story? Is it possible for a brand to do so without coming off as inauthentic or, worse, culturally insensitive? 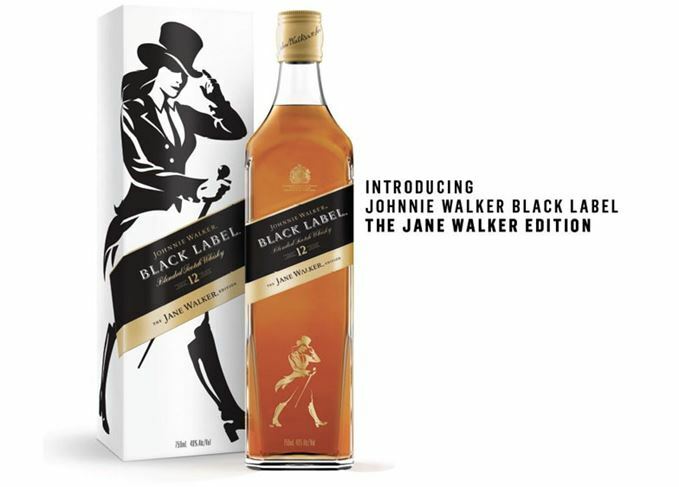 I wrote about Johnnie Walker’s “Striding Man” metaphor a couple of weeks ago, so it caught my attention last week when the brand announced it was replacing that logo with “Jane Walker” on a limited-edition version of its Black Label whisky in March to celebrate Women’s History Month. This new label has been criticized for being patronizing toward women. On the other hand, contrast this with the outdoors brand REI, whose “Force of Nature” campaign has put women more front-and-center of the brand discussion without the same kind of controversy. Where is the line between progressive and patronizing? How is the REI approach different from that of Johnnie Walker? Do either of these brands risk alienating its core base of male consumers? From the realm of behavioral science and nudges – it’s Duolingo, the free language-learning platform rooted in gamification. It has 25 languages available and 200 million users worldwide. A problem with online learning is the high dropout rate. Everyone goes into it with the best of intentions, but then life happens and you don’t finish your course. Duolingo (whose CEO is Luis von Ahn of Carnegie Mellon) uses gamification to keep its learners engaged. Gamified experiences typically include elements such as badges, points, leaderboards, and progress-trackers. You can find all of those elements in Duolingo. Duolingo also lets you measure your progress easily, with lessons arranged on a virtual skill tree. Another gamification technique is the use of non-monetary currency (the lingot). Among other things, you can buy a “weekend amulet” with this currency, which enables you to skip a day of learning on the weekend and still keep your streak intact. Duolingo also offers badges for a variety of activities – perfect scores on a test, winning a “wager,” for achieving a certain level of fluency, etc. And as with all good gamifications, there is a social component. You both compete with others to get badges and lingots…but you also cooperate with others to translate texts, building a sense of community while also helping yourself climb a virtual leaderboard. And best of all, the app does what it promises. According to one study, 34 hours spend on Duolingo equals one semester of university-level classroom instruction. A nice marriage of form and function. These are two wonderful examples of how brands have applied a metaphor globally, with subtle but important tweaks to accommodate cultural nuances. For years now, Johnnie Walker has used its iconic “walking man” logo as a powerful icon across the world, but it has done so in different ways that you might not be familiar with. In Mexico, the phrase “Keep Walking” has been used to symbolize the country’s economic progress. In the US, it symbolizes cultural progress and diversity. In India, “Keep Walking” is about individual achievement and striving for personal success. In China, the phrase has become a toast, symbolizing how men collectively help one another through life’s many challenges. Similarly, Unilever has adapted its “Dirt is Good” campaign, which it uses for a number of its laundry detergent brands, including Persil, globally. In the western world, dirt has many positive connotations – think about phrases like “Getting your hands dirty” or “Down to earth.” Dirt symbolizes hard work, humility, and groundedness. Dirt is usually the enemy of detergents, but Unilever frames dirt as the symbol of childhood play, freedom, and togetherness. This was a challenge in much of Asia, where dirt is closely linked to poverty and disease. Therefore, in Indonesia, Unilever connected dirt to a social purpose. Its communication in that country is still about play, but also about how play helps your child acquire the tools s/he needs to become successful in life. This is how you live your brand purpose. Deutsche Telekom just won the Grand Prix in the Tech category at the WARC Media Awards. The company’s key brand message is “life is for sharing,” and typically for telecom companies a sentiment like that would mean sharing photos, videos, messages, etc. But Deutsche Telekom has taken this broad idea the next step. The game is creating a global data base of spatial awareness that would have taken scientists decades to build on their own. Two minutes of gameplay equals about five hours of traditional research. Deutsche Telekom also is supporting scientists who are analyzing these results for breakthrough insights into the course of dementia and its diagnosis. An example of how data collection on a massive level can be a force for good – and an example of CSR at its finest. Why does everyone hate this commercial? This Apple commercial has sparked boundless quantities of online rage. There is an entire reddit forum (tastefully titled, “F*** this commercial!”) dedicated to it. I’ll admit, I had a similar reaction. 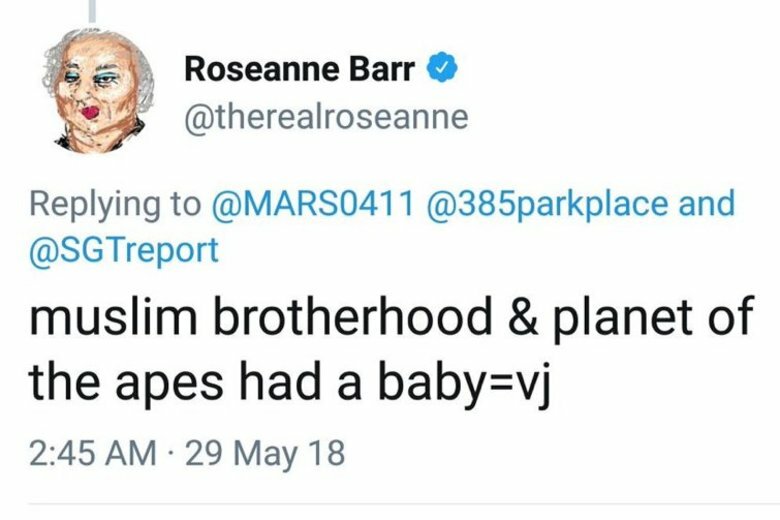 There’s nothing wrong with it until the last line, where the young woman looks up from her iPad and asks, “What’s a computer?” I am not really sure why I want to throw a shoe through my television when she utters that line…but I do. It would make for an interesting piece of research to understand what unconscious alarm bells this line is setting off in people. I’ve done some self-examination and, beyond the fact that it comes off as insufferably smug, I can’t figure out why it annoys me so much. I stumbled upon this product – Duke Cannon soap – in the grocery store last week. The awesomeness stopped me in my tracks. Sometimes in research you can overcome that with metaphorical exploration. In messaging you can do something similar with metaphors, as Duke Cannon has figured out. (“Smells like Naval Supremacy”). The whole package, not just the description of the scent, tell a unique story about the brand.